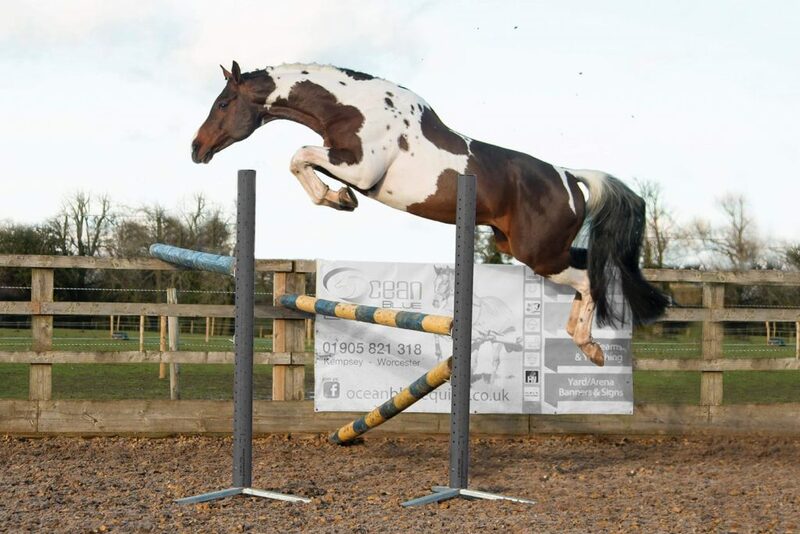 Tomorrow (Saturday 16th March) sees the Stallion Event taking place at Addington Manor in Buckinghamshire. The showcase of some of the very best sporthorse stallions standing in the UK is organised by British Breeding and supported by Baileys Horse Feeds and Competition Stallions. Tickets can be purchased on the door with the first horse in the arena at 10.30. There are a number of tradestands covering all aspects of the industry, and the stables will be open to the public. If you are thinking of covering your mare this season, this event cannot be missed. Every breeder when setting off on the journey to produce a foal, has an ambition or dream. It might be to breed a replacement from their much loved mare to compete themselves, to breed a Derby winner, they may want to win at Horse of the Year Show, or perhaps an Olympic Gold Medallist. Those of us breeding for sport know just how much you learn along the way, how when you look back on your breeding journey, there are some things you may have done different in mare or stallion choices or in getting that foal into the right hands. And the smaller breeders often look at the larger, more established breeding operations and wonder how they will ever be so successful. We have a conundrum in this country when it comes to the breeding of sport horses. Buyers say it is easier to buy in Europe where they can see a large number of horses in one area in one day. Although not a big country geographically we tend to have single horses for sale at individual yards. In Europe there is also a thriving foal industry, or at least there is if you read press reports. For example, the recent Oldenburg Elite Foal auction saw a top price of 110,000 Euros for a Marc Cain x San Amour colt and 68,000 for the second prices foal. This lead to an average price of over 18,000 Euros. But as international results are starting to show, we can breed great horses in this country and we need buyers to start shopping at home. Friday 17th August sees the third running of the AES Elite Foal Auction at Addington. This year the collection focuses on the show jumping and eventing bred foals, with the dressage foals having their own auction at Stoneleigh in September. With foals stabled onsite there will be plenty of chance for interested purchasers to inspect the foals at close quarters and they will all be presented in the main arena at 11am. This year the auction is also being livestreamed on Clip My Horse, and telephone bids are accepted. All the foals are British bred and have been selected after viewing days held around the country. On Thursday 14th June, the Equerry Bolesworth International Horse Show ran their Elite Foal and Yearling Auction in the beautiful grounds of Bolesworth Castle. Once again the auction attracted high caliber national and international buyers looking to source youngstock with impeccable jumping pedigrees. 13th January 2018 saw the 21st edition of the British Horse Foundation awards with a glamorous black tie dinner at the Grange City Hotel in central London. The evening is a great opportunity for breeders and industry experts to network and catch up with old friends, and most importantly to celebrate those British bred horses who have shone both nationally and abroad. The delegates at the 2017 WBFSH General Assembly were given an insight into the breeding program and selection system of the Danish Warmblood (DV)studbook by breeding manager Karina Christiansen. Since it’s foundation in 1962, the studbook has risen to become one of the most successful producers of dressage horses in the world. Is there anything that they do, that the British studbooks could incorporate into their own programmes? 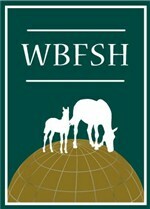 The second day of the WBFSH General Assembly was split between seminars and a return trip to Blue Hors Stud. The two seminars involved topics of particular interest to all British breeders, but especially those concerned with new scientific developments that could impact sporthorse breeding and production. This year the WBFSH Annual General Assembly is being held in Denmark, hosted by the Danish Warmblood Society and Blue Hors Stud. The Assembly is a chance for studbooks from around the world to get together and discuss common issues and find solutions, as well as strengthen ties with fellow breeding enthusiasts.